This K-3 guided reading program includes carefully leveled books specifically designed to help students learn and practice the skills appropriate for each stage of reading development. 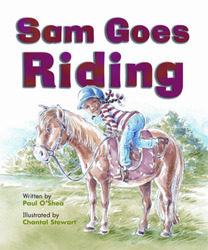 Sam likes to ride ponies. But what happens when there is no pony to ride?